Hajaar bachhor dhore aami poth hantitechhi prithibir pothe. Temni dekhechhi take andhakare- bolechhe se "Etodin kothay chhilen"? 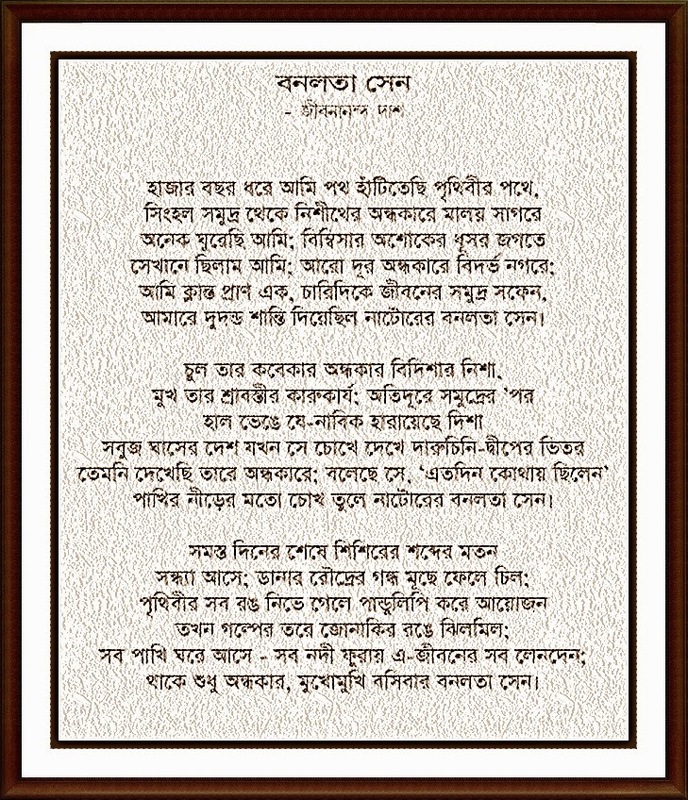 Thake sudhu andhakar Mukhomukhi bosibar Banalata Sen. There was I, deeply embedded among darkness of Vidarbha Nagore. I was offered few moments of peace by Banalata Sen of Natore.
" Lifting her bird-nest like eyes. Where were you" she asked;the Banalata Sen of Natore. All birds return to their nests, so do rivers, stops all the life's bargain.